My portfolio has hit an all time high. 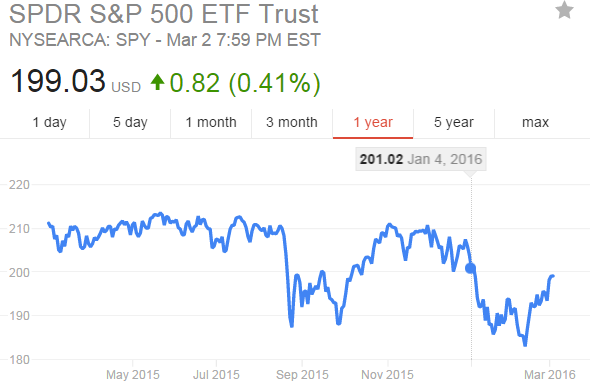 The chart above shows my portfolio as of 3/3/2016. I have received my tax return for this year and plan on using it to grow some positions. That is why I have a larger cash position than usual. I have started 2 new positions in Nestle and beer giant Anheuser Busch Inbev. I have also added a heavy contribution to Dominion in February. My portfolio wasn't doing so hot in Jan-Feb but it's been hanging in there. My growing cash stash is helping keep the portfolio growing, but my dividends haven't been moving up because I've been hoarding my cash (see earlier post this month for February dividend summary). 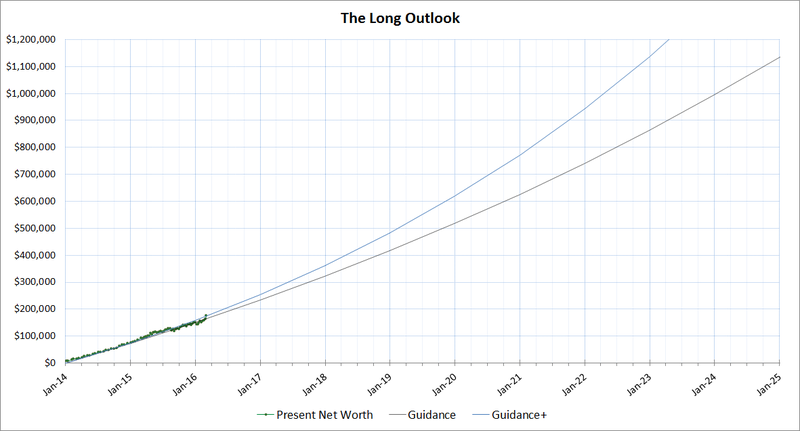 The picture below shows a zoomed out 10 year outlook I planned for to hit $1,000,000. So far so good in the last 2 years. The choppiness of the market isn't too bad in the grand scheme of things (until we have another great recession that is!). Pictures below show my equity weightings and my sector weightings. 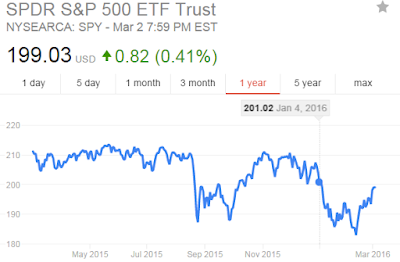 I have a huge emergency fund at the moment that I need to unload on some equities. But most of my target companies are expensive so I'll drip steadily. My largest positions are MO, JNJ, O, PM, GIS. My 3 largest sectors are Staples, Healthcare, and Cash. Great progress and I love all the charts! Keep up the good work! 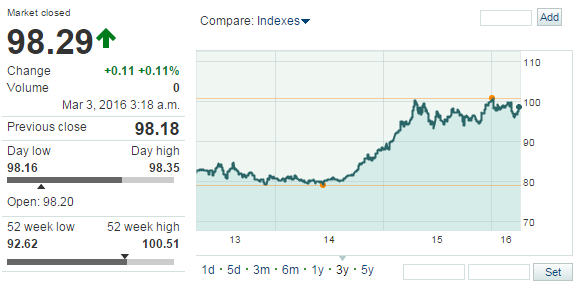 I really love how you have all of your information in chart form. It's easy to digest and see how everything is balanced. Great portfolio! Looks like I am in the same position as you, pondering over whether to buy a house with 20% down. This is the main reason why I have kept the majority of my portfolio in cash. 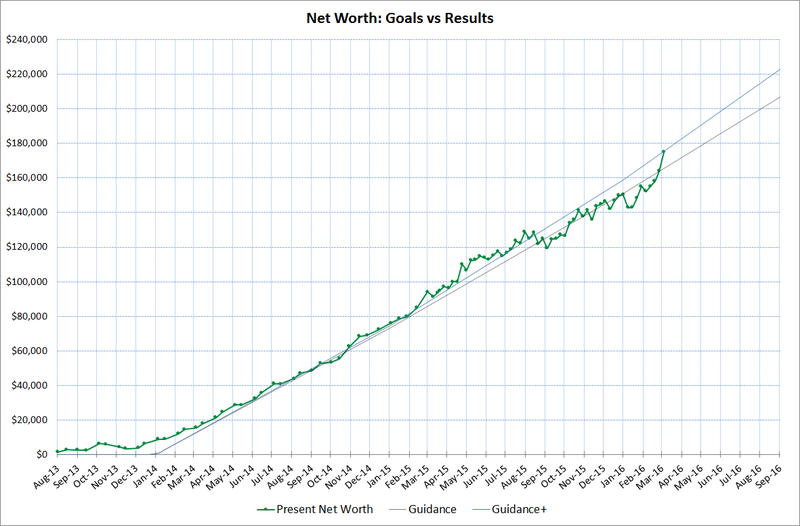 Very good, solid upward trajectory of net worth there. Upwards and onwards!